Half Acre Beer Company is one of Chicago’s most beloved craft breweries and Chicagoans have some true love for beer, especially the well known Half Acre Daisy Cutter, an intensely hoppy Pale Ale that can only be described as a hop bomb! Founded by Gabriel Magliaro in 2006, Half Acre hit the map after opening up their own brewery in March of 2009. Prior to 2009 they were a contract brewery, meaning they used another breweries facilities to brew their beer. Similar to what Sean Lawson is doing with Sip of Sunshine and Two Roads Brewing, but with the news in April of their acquisition of a warehouse to open a new facility there are great things to come! Making its debut in 2007, Half Acre Lager, was the first beer in production during the early days at Half Acre. Half Acre has grown since then to become one of Chicago’s top breweries and they continue to make waves in the Midwest. You can visit their fantastic brewery by going to 4257 North Lincoln Ave, Chicago. Do not visit the Balmoral ave brewery, it is only a production facility and is not open to public. The Lincoln location however, hosts a brewery, a restaurant and a retail shop. I would highly recommend stopping by the brewery and at the very least picking up a burrito to go. I can safely say you will not regret it! It’s craft but with food, I ate their chicken noodle burrito after the Welles Park Festival and I also broke some rules by eating on the CTA, but it was so worth it! My first experience with Half Acre was during a visit to Chicago in February of 2015. Because it was a short three day trip with my wife, I didn’t manage to visit any breweries, but I did manage to taste several offerings from the great city. One of them was Half Acre’s Daisy Cutter, an irresistible Pale Ale that begged me to go back for more. And so I did, again in October 2015 and most recently in May of this year during Chicago Craft Beer Week. Half Acre has since put itself on my map of top breweries in North America. I had the opportunity to speak with Gabriel and he was kind enough to answer some questions about himself, his beers and Half Acre Brewing Company. 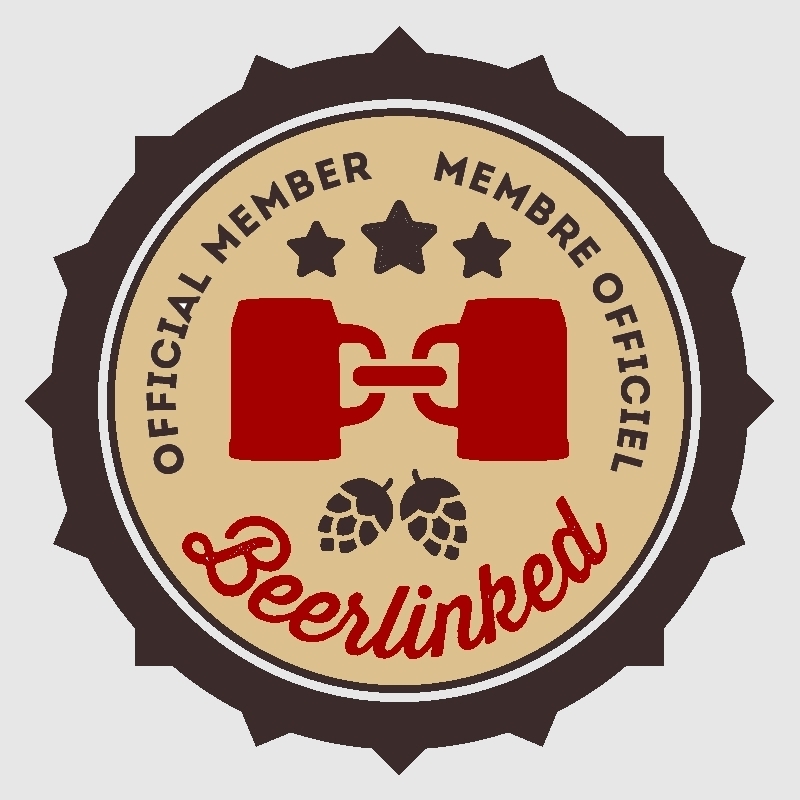 Hopcitizen: You guys are part of the new wave of Chicago breweries, what aspect of the beer industry did you observe which allowed the light bulb to click for you to start your brewery at that particular time? Gabriel Magliaro: While living in Colorado I saw breweries out there building little breweries and having a blast making beer and a living. I wanted to do that and didn’t know any better, so I took a run at it. Hopcitizen: Any plans for doing some more experimental releases? Maybe a Barrel aged program? Gabriel Magliaro: We have both an ageing and mixed fermentation program. We’ve yet to release beers from this program, but things have been in the works since early 2015. Hopcitizen: Any plans for distribution on a larger scale? Or a potential expansion of production? Gabriel Magliaro: We built a second brewery in 2014 and began to brew on it in 2015. We’ve taken a large jump in production, but won’t continue with the same rate of growth. Our focus is creative growth and the maintenance of culture. Hopcitizen: What was your Eureka beer, or the beer you had which got you into craft beer? Gabriel Magliaro: Not sure, there were many. I still have those beers semi regularly — beers that rattle my idea of quality or enjoyment. Hopcitizen: So far you only have 2 beers in your line up as year round releases. Why did you pick a Pilsner and an IPA, and do you plan to add some more year rounds to your line up sometime in the future? Gabriel Magliaro: I think our Daisy Cutter Pale Ale and Pony Pils are beers that can easily slot into any scenario during any time of year. We don’t want to carry a heavy load of perennial offerings — we’d prefer to brew with less frequency and more seasonality. You will see a great array of canned offerings. Hopcitizen: What’s the story behind the name ‘Daisy cutter’ ? Hopcitizen: What can we expect from Half Acre in 2016? Gabriel Magliaro: We’ve already delivered an array of beers that we’ve never made before and we’ll continue . We’ve added a food program at our original brewery. We’ll also begin to release a series of mixed fermentation beers that shed a light on how we think about that world of beers. Hopcitizen: What in your opinion will be the next style to gain popularity amongst craft beer drinkers? Gabriel Magliaro: Ultimately, I think we’re seeing the first end to end connection in the cycle of exploration. Early beer appreciators have made the trek from macro lagers, to pales and IPAs to big beers to wild and sour – now pushing forward to high calibre Pils because they’re fundamentally enjoyable. Many others behind them will traverse the same path. I hope and imagine that a very large ‘something’ will happen and the pantheon of beers will be started in ways we don’t yet understand. It will be tough to pull the volume away from IPAs any time soon. Below I run through some of Half Acres solid offerings for our craft beer drinking watering mouths. Enjoyed at several stops in Chicago, once I tried this gem, it was always calling me back for more. Chicago’s craft beer scene in the last few years has really exploded to a level worth recognition. This Pale Ale, as it states on their website, comes pretty close to an IPA but is really a Pale Ale. I’d define this Pale Ale as hoppy as F***! It is a very well balanced Pale Ale which starts with a crazy tropical hop explosion and is followed by a fleeting bitterness before your palate can even recognize its bitter kick. So well balanced it creates an environment for a lingering flavour on your, leaving behind an irresistible taste. Pale Ales are noted to go well with spicy food because they serve to intensify the spices as well as the hops. I enjoyed this at Big Bowl restaurant, a great Asian fusion spot in River North. A must have beer when visiting the windy city and a must bring back. One of the first beers I tried during my visit during Chicago Craft Beer Week and it was also one of the best! Along with Pipeworks Passion Fruit Guppy, Galactic Double Daisy Cutter was my favourite from the trip. The aroma boasts an intense explosion of hops and the taste matches the nose. At 8.5% ABV you would expect a strength from the alcohol and due to the intense hops your palate waits for the sharp bitterness which usually follows with imperial IPAs. However, with Half Acres amazing techniques of brewing the bitterness is mild and it’s a very easy drinking imperial IPA. The galaxy hop is by far one of my favourite hop varieties because I love the tropical intensity it seems to hold. This beer goes down like water and that can be very dangerous! I was lucky enough to enjoy this few times on draft, and also got lucky at whole foods towards the end of my trip. The girl whom was helping me decided to tease me by saying “We also have something special we got in the back and there is only one” And as I always say, you don’t ask you don’t get. So I very flurtingly replied “Well how about you tell me.” Thinking I was all smooth, I snagged the last bottle of this godly ether from Whole Foods in west loop and enjoyed it in all its glory back home in Montreal. This beer has in your face hops. The Daisy Cutter isn’t host to too much bitterness at the end, however this IPA comes with a heavy bitterness. It isn’t a bitterness that ruins the enjoyment of the beer rather enhances the experience and adds to the beauty of the IPA. However for me the bitterness could be toned down a bit. Although IPAs are bitter, I like to enjoy a touch of bitterness rather than a strong one. The tropical hop kicks trance around your palate with great enjoyment. The only mistake with this beer… I only had one and took zero home with me. Oh beer regrets. I will be sure to down a 4 pack of this next time I am in Chicago. Drank at whole foods in west loop on draft, I wasn’t able to write up some extensive notes on this beer or take any photos. Due in part to some of the amazing people of Chicago with whom I am always delighted to hold a conversation with, and porbably cause I had one to many by that point. So for this one I will have to rely on my memory a bit more. It has an almost pilsner style taste with a nice hop profile. This beer is in the same category as Three Floyds Gumball Head, which has a strong yeasty and hoppy profile. Even though Akari Shogun falls in the same category, I felt as though Akari Shogun was a lot lighter, with minimal yeast profile and a nice light minor hop profile. It was a delight to drink with a delightful conversation with a friendly Chicagoland resident. An article by HopCitizen. Photography by HopCitizen.